Hey ladies! 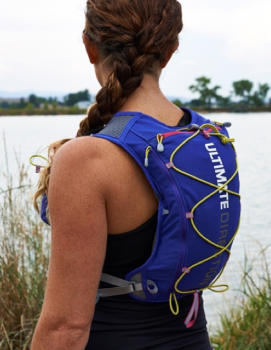 Who’s looking for a women’s specific running hydration assortment to meet your every need? Look no further, the Jenny Collection has finally arrived! I started working on this line with Ultimate Direction in the fall of 2012, but in reality the design process began several years prior. 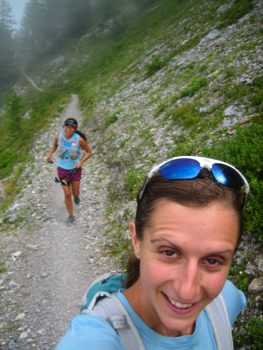 In 2009, I qualified for the Ultra-Trail du Mont Blanc 165km race, something I’d dreamed about doing since my bestie won the inaugural edition in 2003. Back then, I used to train and race with UD handheld bottles and a small vest to carry extra food or clothes. After reading the required gear list and figuring out how long it would take me between aid stations, I realized I needed a pack that could carry a TON of stuff. My boo talked me into wearing a pack with water bottles up front (so Euro!) because it’s more energy efficient and he said I’d be needing my hands free for something else…sticks!! I know, who would think bottles up front and poles would be the way to go? Surely 2500 Euros can’t be wrong, right? to the mother freaking FINISH! After that, I was a true convert to wearing water bottles up front. I started thinking of ways to improve the pack. As a veteran apparel designer, the idea of a vest that wraps around the body seemed to make sense to lessen the bounce of the pack and the girls. Using lighter materials, less padding, and more versatile pockets up front also sounded ideal. I got super inspired by Scott and Tony’s Signature Series packs so when I had the opportunity to design a women’s version, I basically took the best features from the Signature Series and tailored them for women. The ladies I worked with gave invaluable feedback and direction. I focused on fit (that’s the apparel designer in me), adjustability, fewer straps to dangle and swing when you run, etc. If you notice on the Vesta and the Meow, there are elastic loops to keep the straps in place. I could go on about the fit and features, but I think the real proof is in the pudding. By that, I mean how it performs. 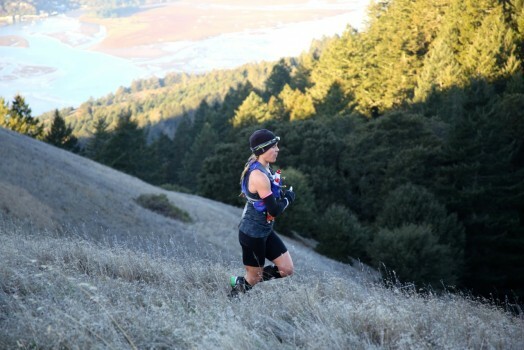 Let’s just ask 2013 Ultrarunner of the Year, Michelle Yates. She’s pretty much as legit as it gets and she loves the collection! 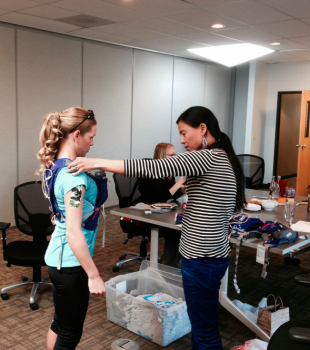 It was a pleasure working with her on these products, I learned a lot about elite athletes’ racing needs. I have the whole collection and I love them all! I think manufactures are missing a huge segment of the population by not designing women specific fitted stuff. While the Vesta and Meow(what was the name of it in the prototype video? The writing on it is longer and starts with an “S”…..just curious!) 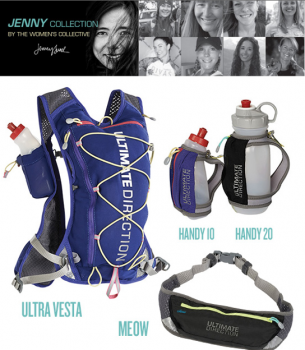 are my favorite fitted pieces, even the UD Jenny handhelds fit me better than my other handheld hydration systems do! Kudos to what the Women’s Collective has done with this line! Expanding on what Doris has eluded to, the capacity of the Vesta. I run pretty minimal most of the time and the Vesta suits this style well. But it would be nice if UD would have you all design a higher volume pack as well, like the Bakwin vest or even your hubby Scott’s, which would double the storage of the Vesta. Are there any plans in the forseeable future to add a higher volume ladies vest to the collection? Cool that you love the whole collection, that’s awesome to hear! Good eye on the Meow, I originally called it the “Sparrow” because it carries just the essentials with nothing to “spare” but at the last minute UD came up with the “Meow” and I was fine with that. 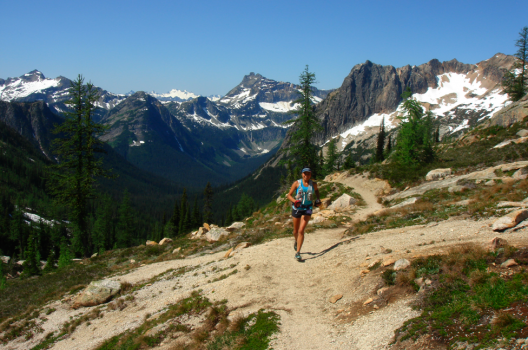 As of now, there are no plans for a higher capacity women’s vest/pack although that is a great idea! Maybe you should mention it to UD and I’ll do the same! I think if people want to carry more, they could use something from the Signature Series. I agree, though, the women’s specific fit is so important. The Handy’s (no, I did not choose that name and yes, I am aware of the slang use of that word!) were fit to smaller hands because I always had to crank down on the straps of the unisex handheld bottles and the fabric would crumple up on the back of my hand. Thanks for the feedback and I’m glad the collection is working for you! I’m looking forward to checking out this pack soon! 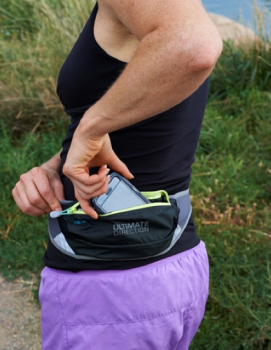 The Ultra Vesta looks quite a bit smaller than the Wink that you used for UTMB. Would you be able to fit the same amount of gear in the Vesta? Good question! The Wink I used is much bigger than the Ultra Vesta and it does hold more gear. 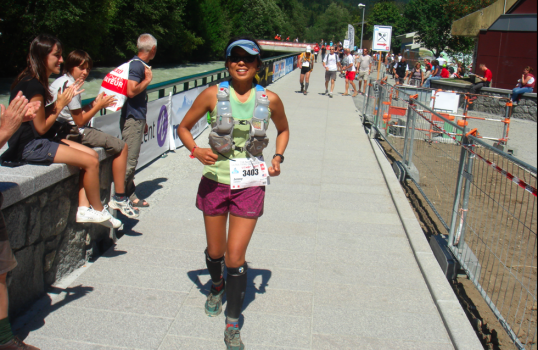 However, I didn’t need all that space for the UTMB required gear list. Personally, I could fit all of my UTMB required gear in the Ultra Vesta but I have super lightweight rain gear and the lightest/smallest possible version of everything else. I think it will meet most of your carrying needs for most ultras. 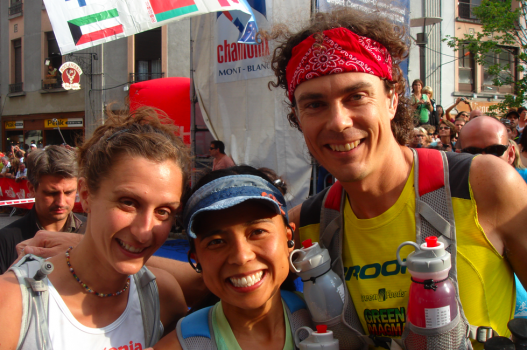 The UTMB is unique in that it has an intense gear list and only one drop bag, but most other races don’t have any requirements and have several drop bag locations. Hope this helps!